At the end of last year, I wrote a blog about our new kitchen here. At the other end of our kitchen is an open plan dining area which was redecorated at the same time. The finishing touch was to replace the dining room lamp, which I didn’t mind but my partner did. We’ve really struggled to find something both of us like and after visiting too many shops, and ordering and returning 3-4 online lights I’d pretty much given up. I then got an e-mail from her suggesting a futuristic looking Philips Hue model, which I’d not even considered considering how much she moans about the Hue GU10’s in the lounge that can only be turned on and off using Alexa! I had to check she was’s joking, but apparently not, so another was ordered online pretty safe in the knowledge that Amazon would take it back without any problems if it didn’t fit in. Another blog started some time ago that I thought I’d finish off! 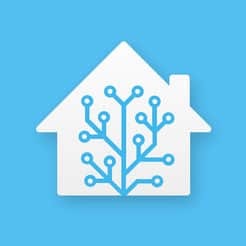 I’ve mentioned some of my home automation stuff in previous blogs, and whilst it’s nothing particularly complicated, I’ve always struggled with one small part.